❑ Start compiling the guest list (inform your families to do the same). ❑ Purchase/rent the groom’s tuxedo. Most tuxedo rental companies will offer the groom’s tuxedo rental for free with the rental of a certain number of groomsmen’s tuxedos. ❑ Arrange for your groomsmen to be measured and reserve the tuxedos. ABW Tip: If your groomsmen do not live close to the formal wear shop you choose, tell them to go to a local shop – most shops will measure them as a courtesy. ❑ Have bridesmaids get measured and purchase their gowns. ABW Tip: All bridesmaid gowns must be ordered from the same store at the same time to ensure the dye lot (color of the gowns) is the same. ❑ Shop for headpiece, veil, and other bridal accessories. ❑ Start planning for honeymoon. Research possible destinations (ie: ensure it is not hurricane season where you would like to go). Need help? Ashley Baber Weddings can recommend a travel concierge. ❑ Select hair and make-up professionals. ABW Tips: Set appointment for a trial run roughly two months from the wedding date. Bring pictures of hair and make-up styles you like to the trial, as well as a camera to take pictures of the final look. ❑ Taste and order the wedding cake, if not provided by the caterer or reception venue. ❑ The parents of the groom should begin to arrange the rehearsal dinner, and reserve a restaurant or make other arrangements. ❑ Arrange for exit transportation for the wedding. ABW Tip: For an affordable option, consider Town Car point-to-point service for around $100. ❑ Determine if you will need any additional vendors for chairs, linens, china, etc. If so, select vendors and place the order for the items needed. ❑ Plan the bridesmaids’ luncheon and any other parties. ❑ Shop for and purchase wedding rings. You can get advice here. 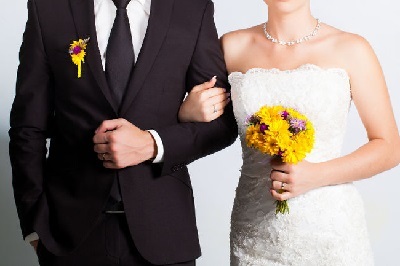 ❑ If you plan to exchange wedding gifts with each other, purchase wedding gifts. ❑ Purchase wedding accessories such as guest book, ring bearer pillow, flower girl basket, cake knives, toasting glasses and garter (if applicable). ❑ Determine if you plan to have welcome bags for your out of town guests staying in hotels. If so, decide what you would like to be in the bags. Start purchasing what you would like to go in the welcome bags (non-perishable items) as well as the bags themselves. ❑ Confirm all men’s attire has been ordered. ❑ Determine ceremony details with officiant. Will you have any readers of soloists? Determine your resource for designing and printing the programs for the ceremony. ❑ Finalize honeymoon details and make the necessary reservations. Shop for honeymoon clothing. Confirm whether or not you need a passport to travel. If you do, ensure your passport is up to date and that you know where it is. ❑ Get “must-take” photo list to photographer. ❑ Decide on music for ceremony (prelude, processionals, recessional, etc.) and reception (first dance, father-daughter / mother-son dance, last dance, etc.) with musicians.